He looks like a capable enough warrior. That is a quite tiny buckler on his arm but it should let him move freely enough. 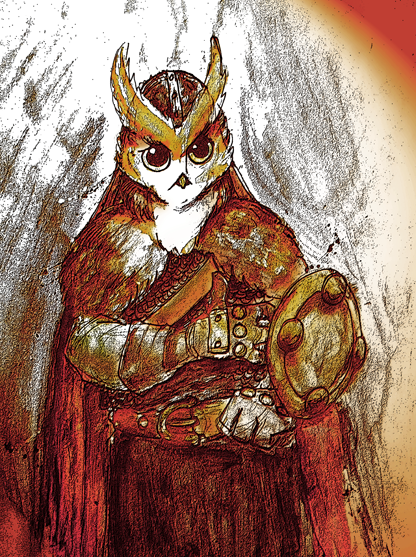 There aren't too many owls in the combat world(other than one book series and some villains). I hope he does well, good job.